[ Solomon Alexander Hart, the first Jewish member of the Royal Academy. ] Autograph Signature ('S: A: Hart RA | Secy to the Committee') to document in another hand, to the physician Sir W. H. Allchin regarding an exhibition of 'the old Masters'. 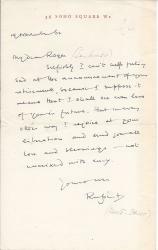 On letterhead of the Royal Academy of Arts, Burlington House, Piccadilly, W. London. 1 December 1869. 1p., 12mo. In good condition, lightly aged. Addressed to 'W. H. Allchin Esq'. The 'arrangements for the intended Exhibition of the works of the old Masters have already progressed too far' for 'any further works offered [...] on loan' to be considered for acceptance. 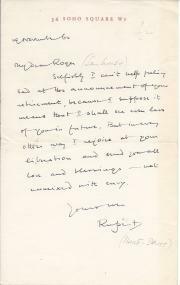 Autograph Letter Signed from Rupert Hart-Davis ['Rupert'] to 'My dear Roger [Senhouse]' on his retirement. 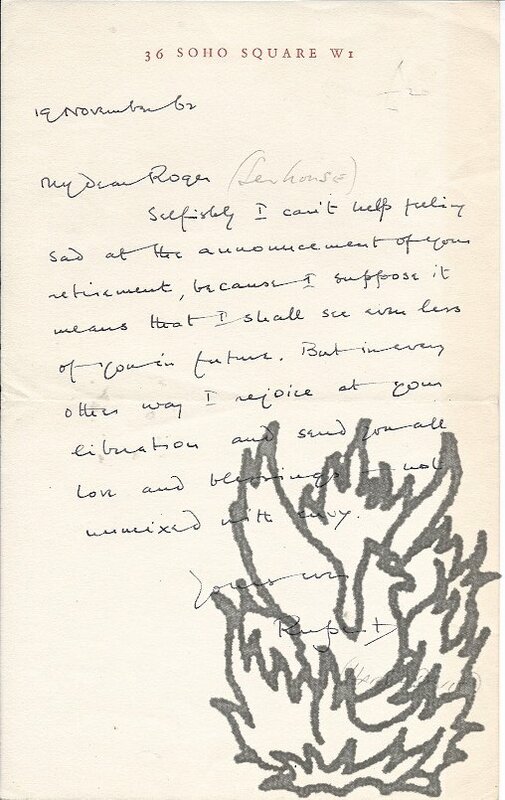 19 November 1962; on 36 Soho Square letterhead. 12mo, 1 p. Nine lines. Text clear and complete. Begins 'Selfishly I can't help feeling sad at the announcement of your retirement', which means that he will see 'even less' of him. He rejoices at Senhouse's 'liberation' and sends him 'all love and blessings - not unmixed with envy'.